Wrapping up launch day so I can go trick-or-treating! I’ve spent today having so much fun talking to some of you, blogging, bragging about knowing Arjay Lewis and even reading to you (check out my first post of the day). It’s been a blast of a launch day (pun intended), but all things must come to an end. By now I’ve contacted my winners of books and Amazon gift cards. I’d like to thank everyone who helped make this day a success, whether it was by leaving a comment or just by reading the blog. Special thanks to Arjay for letting me interview him! Everyone have a wonderful Halloween. And if anyone hears from Houdini, please let me know. And above all else, BELIEVE. With no further ado, then, please help me welcome R.J. Lewis (Arjay) to my blog. MGF: You started out as a puppeteer, went from there to performing magic and Broadway. You’ve written screenplays and been in movies and on television, and you’re now a resident magician for Princess Cruise Lines. I hesitate to ask, but how does all that lead you to write dark fantasy and horror? Arjay: Actually I write in several genres, wherever the story takes me. My main series is a collection of murder mysteries that feature a psychic detective who is a professor of parapsychology. I have two books released in that series, Fire In The Mind and Seduction In The Mind. The Muse is a stand-alone, inspired by my writing of a short story The Dark, which appeared in H.P. Lovecraft Magazine of Horror. I used to avoid scary books, as I was a bit of a sensitive child. However, I have been won over by the writing of Dean Koontz and Stephen King. As a reader I just get pulled in so strongly by the writing and the excitement of the situations, despite the dark overtones. MGF: Have you always wanted to be a writer? Arjay: My entire life I have been surrounded by writers. My father wrote a novel, which I never saw, and the manuscript is long gone. I have written plays and live shows since I was fifteen or sixteen. Finally two of my mentors and friends were writers, Parke Godwin and Marvin Kaye. I learned early on the discipline of the work and the joy of when you have a good writing day. MGF: You’ve mentioned the “call of the odd” to me. I used to write a little horror myself (not very successfully), and I’m still a consumer of horror, so I have an idea what this phrase means to me. What does it mean to you as a writer? Arjay: I am attracted to the paranormal. Which is interesting, as I am a major skeptic. Since ancient times we have been handed down stories of unusual creatures and concepts that defy explanation, as well as tales of those with extraordinary gifts. I think there is a desire within us as a species to explore those concepts, and fiction is the perfect outlet. We can create entire worlds, but as writers we must people them with characters that will appeal and pull the reader into the story. If so, the reader will go anywhere you want to take them and they will enjoy the ride. MGF: I have to ask, since it’s the anniversary of Harry Houdini’s death. Some people think performing magic led him to a belief in the occult and then to a desire to debunk fake psychics in his quest to find the real thing. Do you think your career in magic affected your decision to write about odd things like psychic detectives and parasitic creatures? Arjay: Absolutely. On one hand I am a complete skeptic, and can debunk people who bend spoons and “read minds” with ease. But underneath, a part of me wishes to believe in the impossible. And that part is what makes me strive in my act to create effects that will leave the audience wondering. My act is the perfect counterpoint. On one hand, I tell the audience it is all a trick, but then I do things that leave them unsure. MGF: The Muse was definitely part of that “call of the odd”. I know there’s a little story about how it came to be written. Can you tell us? Arjay: In June of 1999, I had the desire to write a horror tale about a night guard who saw things in the dark—that were actually there. I had been a guard in my youth and always found the dark places in the warehouse I worked creepy and for some reason those feelings came to the forefront with that story. It wasn’t until the next day, when I read the news that Stephen King had been hit by a truck in Maine. I was overcome with an odd sense that something needed that story to be written and since he couldn’t, it moved to me. The thought stuck with me and I wondered what it would be like if there was something—an actual physical entity that could make people write—and not just write, but write best sellers. That concept became The Muse. MGF: Okay, so your characters in The Muse go through some pretty dark stuff. Do you ever write something and wonder, Where did that come from? Arjay: For me that sort of sums up that entire book. My villain in The Muse is a famous writer who is secretly a serial killer, and who has a symbiont living within him that influences him. I knew that the creature had to leave him, but I didn’t expect him to devolve into a monstrous killing machine. A lot of the book revealed itself to me as I went, and I kept saying “I didn’t see that coming” which was great fun. MGF: I have to admit I haven’t started your series about the psychic detective (Fire in the Mind, Seduction in the Mind, Reunion in the Mind)—yet. They are definitely on my list. These books are coming out pretty rapidly. June, September and November of this year respectively. Any chance you’re going to take a break and let us readers catch up? Arjay: I have six books in that series already written, so I intend to release the next three next year, fairly quickly as well. I have over a dozen finished manuscripts and I want to start to release them to build momentum and establish myself as a writer. After that I will have to write the new ones, so that will slow down the release a lot. However, I have rough outlines for eighteen In The Mind books, which will not only cover the lead character’s growth but the ups and downs of his relationship with the female lead. MGF: So your first book was published in June of this year and you already have a backlist. You obviously write a lot. What is your writing routine like? Arjay: I write every day and usually block out nine to noon for writing new material. I live on the cruise ship, The Ruby Princess , which allows me to wander to various place I have to write, even outside in a deck chair. In the late afternoon, I will do rewrites on books that are getting cleaned up for the copy editor. If I have a release date looming, I put in evening hours as well. MGF: Not that you need to, but because it starts tomorrow—any chance you’ll be joining National Novel Writing Month? Arjay: My daughter, also a writer, is rising to that challenge. My rule is that I do not start a new book while one is sitting half done. This is why I have over a dozen finished novels. I have a book that I must turn my attention to in the In The Mind series, and I have a release on November 20 of Reunion In The Mind, so I must focus on getting that work finalized. However I will attempt to raise my word count for the month. MGF: Finally, thank you very much for being my special guest today. It means a lot to have you here. I know my readers can go to your website (http://arjaylewis.com) to find out more about you and your novels. Anything else you’d like to include? Arjay: Yes, I want to take a moment to praise YOUR writing. 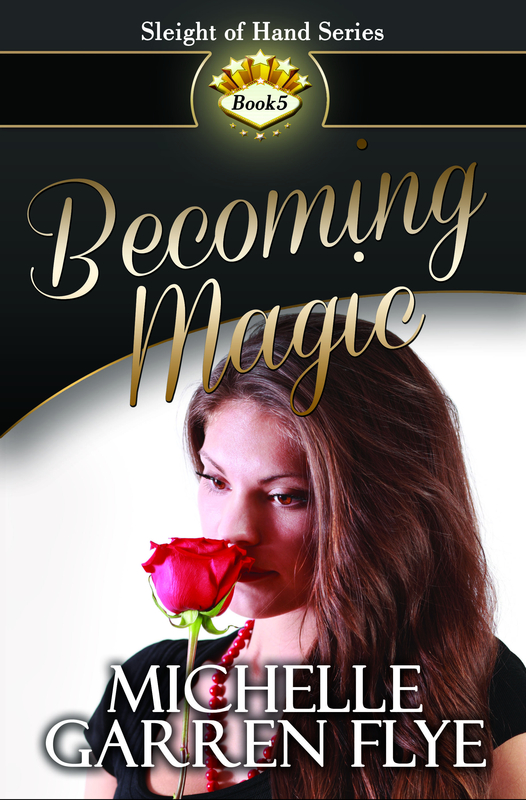 I went through your novel, Movie Magic all in one day and it is a great read. My complaint with many romance novels is that they sometime can be slow—often as a device to build the amorous tension. However, your book takes off like a rocket and keeps going, with vivid descriptions and fully developed characters, plus a four act structure that kept me turning pages. Since I have a background in magic and filmmaking, you really got the “feel” of what it is like to work in those industries. Plus the male lead is a magician! What more could I want? I’m lucky enough to have a very special guest today. Arjay/R.J. Lewis has won awards for his screenplays and is the author of three novels. He is also an accomplished actor who has appeared on Broadway, in film and on television. 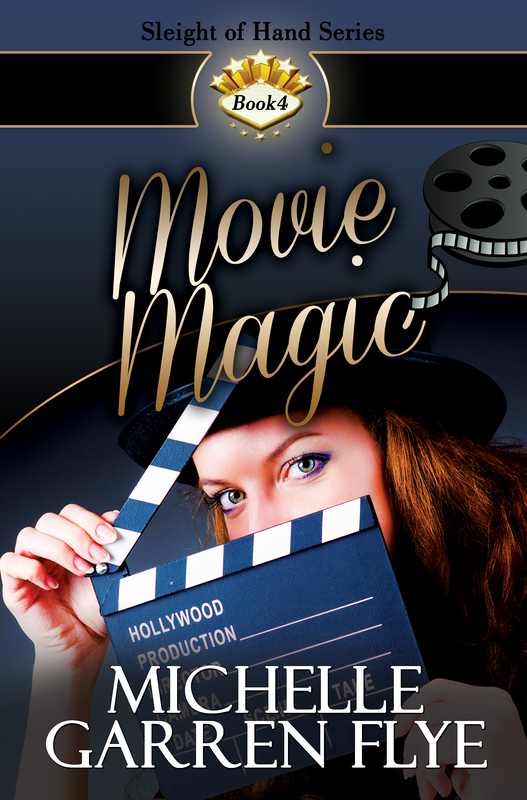 And he’s a professional magician who I’ve actually seen in action, so having him on my blog today to help me celebrate the release of Movie Magic is a tremendous event for me. Before I get to Arjay’s actual interview, though, I’d like to give you a little background about how our paths crossed this past August. I’d been looking forward to the first week of August for the better part of a year. We all had because we were going as a family on a cruise to Alaska. That doesn’t happen every day, right? Little did we know what that cruise had in store for us. R.J. Lewis, magician, in action on the Ruby Princess. This is from the kids’ fair, not the show we saw earlier in the week. On the second day of our cruise on the Ruby Princess, all three kids went off to do their own thing, my husband had a meeting, and I decided to use the afternoon to write. I sat on my balcony looking out at the water speeding past and began a new novel, which I’d already titled in my head, Magic at Sea. I knew it was silly to write this already. 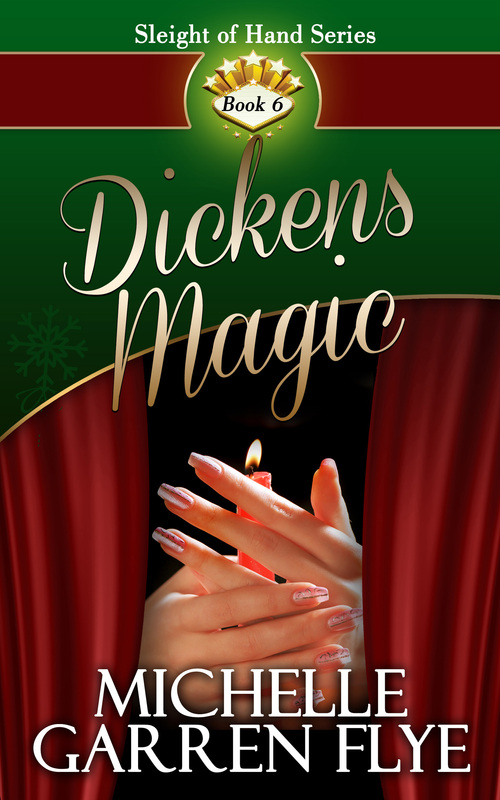 I have plans to write the next Sleight of Hand novel during National Novel Writing Month. Magic at Sea would be the one after that one. But I write what I write when I write it and always have, so I began Magic at Sea, created characters I fell in love with and started the quest to get them together. No way was I going to kill that. Especially when my teenage sons joined us for dinner, also talking about the same magician and a trick he did with a big penny. “He was hilarious!” said the middle one. His name, as it turned out, was R.J. Lewis, and he had two shows scheduled in the Explorers’ Lounge. We got there in time to stand in the back for the first one. I could tell it was very good, even from that distance. So when the lounge emptied out from the first show, my kids and I got right up front for seats for the second, and ended up thoroughly enjoying it. He kicked it off with a song sung in a splendid baritone voice. He continued with some card tricks and even called my middle son up to help with one of the better performances of the Chinese linking rings that I’ve seen. At the end of the show, R.J. introduced us to the fact that he is also a writer whose book The Muse would be out later that week under the author name Arjay Lewis. How cool, I thought. A magician who’s also a writer. And I write about magicians. Maybe I should introduce myself. So…I approached him, half intending to do so. But I chickened out and just took the signed postcard he offered and told him we’d enjoyed his show. I decided, in my usual introverted way, to read his book and then tweet him if I liked it. I did like it. I read most of it on the plane ride home. The Muse is a dark, twisted, addictive journey through the lives of some pretty compelling characters. I recommend it to my horror fanatic friends. And that’s the story of how I met Arjay Lewis. Now that you know who Arjay is and how I met him, I hope you’ll join us for the interview that’s coming up in the next hour.